Play golf, have breakfast, and get home without disrupting your plans for the day! 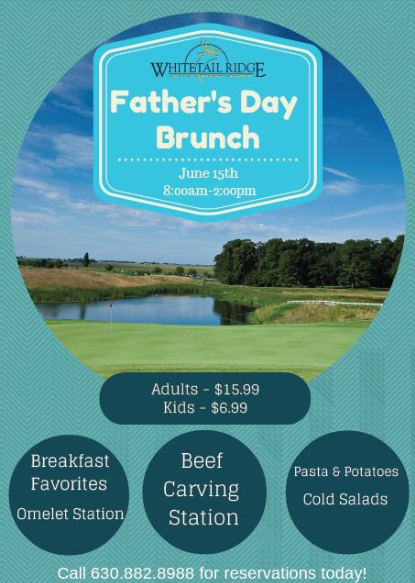 2014 DBN Father's Day Outing; teams of 3 or 4 compete in the Back 9 Scramble Format, then enjoy breakfast together (invite your family to join you for breakfast - $16 for adults, $7 for kids 12 and under). Choose from available tee-times through the View/Book Tee Times page.